Cover de Dave Wilkins. Stories si Arta de W.H. Rauf & Rhoald Marcellius, Alan Grant & Jon Haward, Mark A. Nelson, Dave Elliott & Garrie Gastonny, Jesse Negron & Hendry Prasetya, Elliott & Dave Wilkins, Elliott & Miralti Firmansyah si Kevin Eastman & Eric Talbot. Cea mai faimoasa revista ilustrata din lume. In acest numar: “CarpDIEm”; “Tales of the Buddha (Before He Got Enlightened)”; “The Garden”; “We Are Legion”; “Dravn 1805: From the Depths”; “Fenris”; “Maximum Force”; and “Zombie War”! 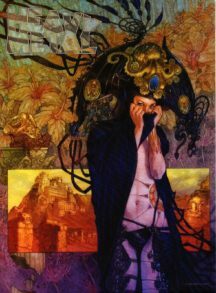 Plus: “The Other Dead”; Mark A. Nelson gallery; si “Bonded By Ink Bound By Love” article. 112 pagini, full color. 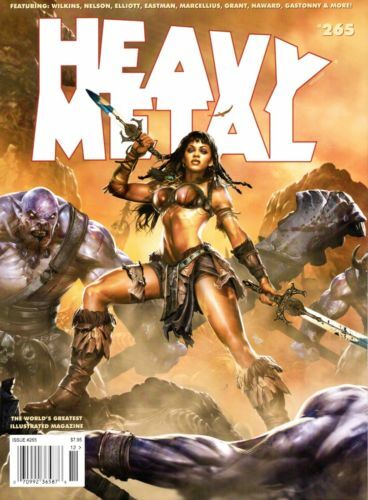 Be the first to review “Heavy Metal Magazine 265” Click here to cancel reply.